Frugal living is a great way to cut your cost of living but lowering your expenses is just one aspect of a healthy balance sheet and budget. Sometimes, you also need to make extra money. The other column on your balance sheet is your income. When you’ve cut your expenses back as far as they can go, it’s time to look at ways to either increase your main source of income (more hours or a raise) or adding new income sources to the equation. When you’re stressing about money, you need to find painless ways to add extra money to your budget. More money is good. More stress is not. Regardless of how many hours per week you can commit to making extra money, there are plenty of opportunities out there, so there’s bound to be one (or two) that will suit you perfectly. Use this guide and get a free domain name plus discounted hosting for your wordpress.org site. This method of making extra money definitely deserves its place at the top of the list. I started this blog at the beginning of 2015 but only really began to view it as a money making endeavour in the second half of that year. Since I began viewing my blog as an opportunity to make money (less than 12 months) I’ve already made over $3,500 from Google Adsense alone. Yes, it takes work but, I can safely say that starting my self hosted WordPress blog has been the best thing I’ve ever done for myself and my (growing) income. You can do it, too. Just follow this simple step-by-step guide and you’ll be blogging in no time. If you use this link, you’ll also receive discounted hosting and a free domain name. Green thumb or not, there are still gardening services you can provide. Probably the most popular service is lawn mowing. I love gardening but I really hate mowing the lawn. I’m pretty sure I’m not alone in despising that chore! If you are a green thumb there are plenty more gardening services you can provide from weeding to pruning. Keep it local and drop flyers in letterboxes in your neighbourhood. You might not get rich quick but completing online surveys is a great way to accrue some extra dollars with very little outlay of energy. I’ve been doing this for years and while it doesn’t bring in big dollars, the main reason I started was the company issued cinema tickets as one of their payment methods. I love going to the cinema – it’s my favourite splurge – so this was a great way for me to feel like I got to go for free. Check out the different companies to see which suit your needs best. Michelle at Making Sense of Cents has a great article to get you started. No matter where you are, child care is expensive. If you enjoy being around kids this could be a lucrative service to offer. Lots of families find they need both parents working outside the home to bring in sufficient money to cover the family’s needs. This creates opportunities for the right people to provide an extra helping hand. Baby sitting can involve everything from few hours on Saturday night to providing before and/or after school care, covering school holidays or just emergency care when a child is sick. If you’re a handy with a hammer, you can probably bring in a nice little side income by providing a home maintenance service. Oftentimes, homeowners struggle to find tradespeople who are willing to quote for, let alone take, small maintenance jobs. You might be surprised at the opportunities available just in your neighbourhood alone. Housework isn’t my favourite activity but some people get a real kick out of it. Each to their own, I guess! If you don’t mind cleaning then this could be the side hustle for you. Most people immediately think of cleaning other people’s homes when they think of cleaning services but there’s also commercial opportunities, like small offices. House sitting is becoming very popular. Some people do it full-time! You can offer varying degrees of house sitting; from living in the house and caring for the owner’s pets to visiting each day to make sure the mail is collected and pets and houseplants fed and watered. Pet sitting can include living in, so it’s combined with house sitting, or you could care for the pets in your own home while their owners are away. Not all pets can go to a boarding kennel or cattery. Rats, mice, hamsters, etc. are the perfect critters to care for in your own home. Dog walking is another great way to make extra money (and get in some extra exercise) if you’re an animal lover. Mind you, you need to be willing to do it rain, hail or shine. Between long hours at work and long commutes, some dog owners find the time available for getting their four legged friend out in the fresh air for a nice long walk or a good ball chasing session, very hard to find. There are even agencies (like this one) that help put canine and walker together. Not just for teachers! Even university students can offer their knowledge and skills as a tutor. Put flyers on community noticeboards (and social media) and contact the schools in your area to offer your services. They might keep a data base of tutors for specific subjects areas. Sometimes a quick run through the automatic car wash isn’t enough. Especially if you’re like me and leave it a bit too long between washes! If you’re a car enthusiast, you might enjoy detailing cars as a simple side hustle. Some people spend a lot of money on their car and are more than happy to spend top dollar to keep it in pristine condition. Plus, it’s quite common for cars to be detailed prior to being put up for sale by their owners. There are some home maintenance jobs that don’t require a particular skill set, just stamina, washing windows and washing down houses are two of them. Weatherboard and clapboard homes require a regular scrub down to keep their paint looking bright and shiny but it can he a big job for anyone not used to wielding a wet soapy broom. The same with washing windows. It requires more strength and stamina than skill, especially in homes of more than one storey. Painting houses is another big job for homeowners that’s more about stamina than skill. As the owner of a weatherboard home, I know the dreaded task of freshening up the paintwork all too well. You watch the weatherboards lose their gloss over time and you know you can only put off the task for so long. Then you have to get it done. Exterior paint has some a long way in recent years, but it still requires a human to apply it to your house. Trust me, if you can offer this service at a reasonable price, the work will come to you. Freelance writing, editing, proofreading, etc. If you’re handy at stringing words together or a bit of a grammar nerd, you could try your hand at freelance writing or editing. There are a number of venues to look at for freelance jobs, like online job boards, but you can also pitch ideas for articles and blog posts directly to the editor of the publication whether it’s a magazine or a blog. Another option is to set yourself up on Fiverr or even Etsy and sell your services that way. Graphic design skills are always in demand and the tasks can vary from designing a logo to creating a complete look for a website. Much the same as freelance writing services, freelance design jobs are advertised on job boards. Note: Freelancers can also set up their own websites in order to showcase their skills and talents. Creating your own website can be an important investment in marketing your services. Not sure how? Start here. This might not be a long term proposition but in the short term it’s a great way to make extra money and clear out the clutter in your house. Once you’re finished with your clutter, you can always offer to sell someone else’s, for a fee. If you have an eye for quality merchandise, you could flip thrift store, yard and garage sale finds. This only works if you know what you’re looking for; particular brands and styles that demand good money or maybe items that just need a little TLC to bring them back to their former glory, and allow you to make a healthy profit in the process. If you really enjoy selling online you could always create a side hustle business selling new items on a platform like Amazon, eBay or Etsy. Better yet, create your own eCommerce website using a self-hosted WordPress.org site with eCommerce plugins. Having your own site is more work, but it gives you control over your business. Take it from me, selling platforms are great and can help you get your business started but, you have no control over anything and your thriving business can be gutted in a heartbeat. And, once your traffic and exposure are gone, so are your sales. So, take my advice, if you’re serious about building an online retail business you need your own website. Delivering advertising material is one way to combine fitness with finance. You get paid to walk around the neighbourhood and put sales catalogues and other advertising material into people’s letterboxes. Easy money! Unless, of course, you get a really hilly suburb and the weather is either really hot or really cold or maybe really wet. There’s usually a ‘deliver by’ time and date so sometimes you can’t wait for the weather to clear. If you’re going to take this side job on, you need to be aware of some of the downsides, too. But, when all things are working in your favour, it really is a painless way to make extra money. Do you have a hobby like knitting or sewing or maybe carpentry or welding? If you do, there are probably people out there who could use your skills or the products you make. You could consider taking them to a local market (or Etsy) or maybe offer your skills via the notice board at your community centre or facebook group. Read this post to learn more about turning your hobby into a side hustle. This is something I regularly do or at least used to, I don’t seem to have time at the moment but, when I did, I made a nice little bit of cash from it. Gardeners are usually busy propagating plants for their own gardens or finding self-seeded plants in places they shouldn’t be. If that’s you, you could always sell the surplus plants. As I live on the main road into town, I put the plants out by my gate with a chalk board sign and when people stop and buy, they put the money in my letterbox. The honesty system works! If you’re not is such a visible position, try your local community notice board or facebook group. You’ll be surprised at how much you can make. 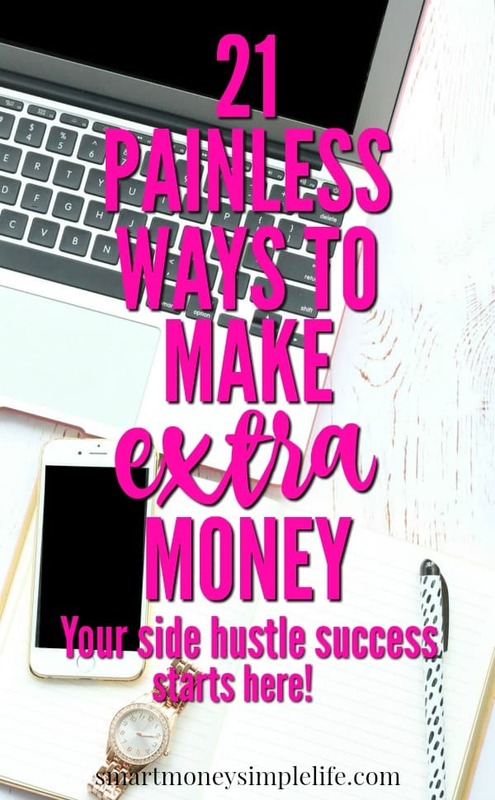 So, there you have it, 21 ways to make extra money that don’t take a huge amount of effort let alone time or expense to start but will have a big impact on not just your budget but your life, too. Starting something new can seem like a big deal but once you’re taking action you’ll see it does amazing things to how you feel about yourself and your future. These ideas for making extra money are just a drop in the ocean. Once you start thinking of new side hustles to try, you’ll find those ideas lead to even more ideas. Get started today and really take control of your life. 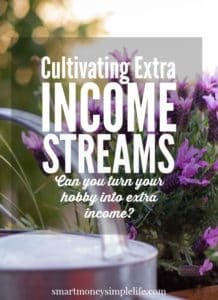 Have you tried any of these ideas for making extra cash? What else have you tried? Great ideas! 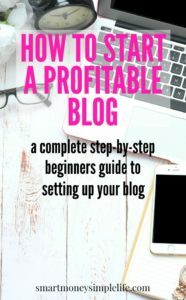 Just started my own blog and found yours. Lots of good info. 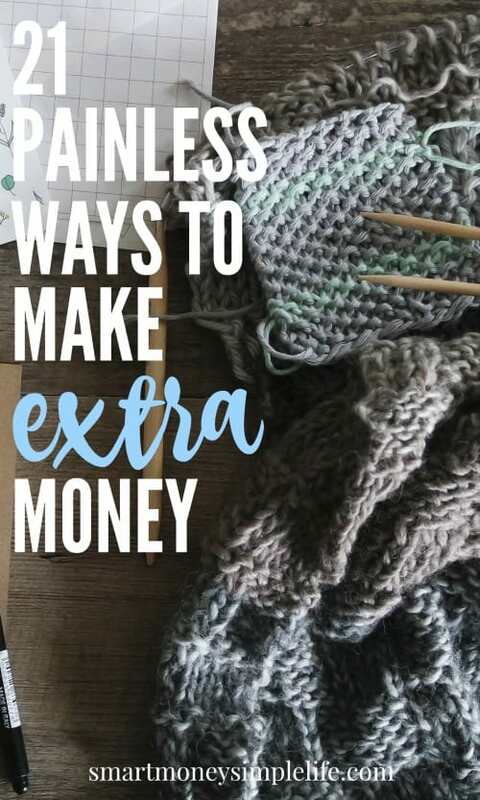 All these are good ways to make extra money and most are also quick. I have another way, but it’s not quick. I think it’s always good to diversify your income streams and that’s why I think that investing a bit of money (around 3-6% of your income) into cryptocurrencies is a good idea. Mind you, I would invest in 20-30 different coins and hold on to them for the next 3-5 years. Among them some will be duds but there will also be a few winners that would bring in a nice return on investment. What do you think of this? Have you ever considered investing in cryptocurrencies? When it comes to investing, I imagine most of us are more likely to be looking at index funds than crytocurrencies.